Invisalign® is a state-of-the-art alternative to braces that is virtually undetectable to other people. Invisalign straightens your teeth, not with brackets or wires, but with a series of clear, customized, removable appliances called aligners. Many NYC patients find these type of “braces” more convenient as they are removable and not permanent fixtures. She is an Invisalign Elite Premier Provider and has been recognized as a top Invisalign provider every year since 2003. In September 2005, Dr. Jacquie Smiles became Align Technology’s National Spokesperson for a hygiene campaign. In 2009, she became a Spokesperson for Invisalign Teen treatment which was featured on the Tyra Bank’s show in June. Invisalign uses the latest 3-D computer technology to create your customized aligners. After you and your orthodontist determine what you’d like to correct, your orthodontist will develop precise treatment instructions. Invisalign uses advanced computer technology to translate those instructions into a sequence of finely calibrated aligners – as few as 12 or as many as 48. You’ll wear each aligner for about two weeks and only take it out for eating, brushing, and flossing. As you replace each aligner with the next, your teeth will move – gradually – week by week, until they move into the final alignment your orthodontist prescribed. Then, you’ll be smiling like you’ve never smiled before. To schedule your Invisalign consultation with Dr. Smiles in her NYC dental offices, please call (212) 972-3522 or fill out the contact form for your no-obligation consultation today. Invisible Aligners can help you get the great smile you’ve always wanted because they are… Invisible! So no one can tell you’re straightening your teeth. So now you can smile more during treatment as well as after. Removable So you can eat and drink what you want while in treatment, plus brushing and flossing are no problem. Comfortable Because it has no metal to cause mouth abrasions during treatment. And no metal and wires usually means you spend less time in your doctor’s office getting adjustments. The Invisalign system is the virtually invisible way to straighten your teeth and achieve the dazzling smile you’ve always dreamed of. Using advanced 3-D computer-imaging technology, Invisalign depicts your complete treatment plan, from the initial position of your teeth to the final desired position. Then a series of clear aligners are custom-made for your teeth – and your teeth only – to shift them little by little into proper placement. Each aligner is worn for about two weeks before being replaced by the next in the series, until the final position of your teeth is achieved. Your Invisalign treatment time will be determined by your doctor, based on your specific needs. Invisalign also allows you to view your own virtual treatment plan when you start, so you can see how your straight teeth will look when your treatment is complete. Invisalign is the invisible way to straighten your teeth without braces, aided by computer imagery, Invisalign uses a series of clear removable aligners to straighten your teeth without metal wires or brackets. Invisalign allows you to view your own virtual treatment plan when you start, so you can see how your straight teeth will look when you treatment is complete. Invisalign has been proven effective in clinical research. May reduce the risk of cavities and gum disease when compared to wire braces that trap food and plaque. Dentistry has moved beyond just treating the teeth and oral cavity. They can now give patients beautiful faces and alleviate a multitude of medical problems. The latest reports indicate that 25% of all individuals or 1 million adults wear braces. What are the Invisalign aligners? Aligners, also called “repositioners” or “contact lenses for teeth,” look similar to some whitening trays, but are made of a clear, strong, medical-grade plastic polymer that is virtually invisible when worn. They are made utilizing a 3-D computer imaging technology which was first envisioned in 1945 by Dr. H.D. Kesling. Dr. Jacquie Smiles offers Invisalign Aligners to her patients in the New York City area. These aligners are removal for daily function and still allow you to eat your favorite foods and continue an active, physical lifestyle. They do not hold you back in any way as they are seemingly invisible to the average eye and you will never feel self- conscious when attending events and functions. Through an Invisalign treatment you will still be able to maintain regular, healthy oral hygiene and upkeep. Invisalign Aligners are the solution you are looking for. Most people are not aware just how complex the Invisalign® manufacturing process is, and it is important for our patients to understand what actually goes into each and every aligner. The link below offers you insight to the step by step process in developing your custom Invisalign aligners. Schedule your no-obligation Invisalign consultation near Midtown Manhattan with Dr. Jacquie Smiles at her office located at 30 East 40th St @ Park Avenue, New York, NY 10016. Invisalign aligners are practically clear. No one may even notice that you’re wearing these virtually invisible “braces,” making Invisalign a seamless fit with your lifestyle and day-to-day interactions with others. Invisalign is removable. Unlike braces, you have the flexibility to eat and drink what you want during treatment by simply removing the aligners. And you can also remove the aligners to brush and floss as you normally would for fresh breath and overall good oral hygiene. Unlike braces, there are no metal brackets or wires with the Invisalign system that could cause irritation to your mouth. Plus since your office visits during treatment don’t involve metal or wire adjustments, you’ll likely spend less time in the doctor’s chair interfering with a busy schedule. And finally, Invisalign allows you to view your virtual results and treatment plan before you start so you can see how your straight teeth will look when your treatment is complete. Like brackets and arch wires are to braces, Invisalign aligners move teeth through the appropriate placement of controlled force on your teeth. The main difference is that Invisalign not only controls forces, but also the timing of the force application. During each stage, only certain teeth are allowed to move. These movements are determined by your doctor as he or she maps out your unique Invisalign treatment plan. You wear each set of aligners for about 2 weeks, removing them only to eat, drink, brush, and floss. Each set of aligners, move the teeth about 0.25 millimeters per aligner. As you replace each aligner with the next in the series, your teeth will move – little by little, week by week – until they have straightened to the final position. You’ll visit Dr. Fulop-Goodling about once every 6 weeks to ensure that your treatment is progressing as planned. Total treatment time averages 9-15 months and the average number of aligners worn during treatment is between 18 and 30, but both will vary from case to case. The aligners are made through a combination of your orthodontist’s or dentist’s expertise and 3-D computer imaging technology. How do I adjust to life with braces? You probably will experience some discomfort or difficulty speaking or eating at first. While wearing braces, keep your teeth and brackets clean. If you wear cemented, non-removable braces, food and plaque can get trapped between teeth and gums. To reduce your risk of cavities, follow a regimen of brushing, flossing and rinsing, and reduce your consumption of sweets and carbohydrates. Plaque and sugar combine to make acid, which can cause decalcification (white spots) on teeth and tooth decay if left behind. Which foods should I avoid? It’s a good idea not to eat foods that can damage or dislodge braces. Hard foods such as candy, raw carrots, corn on the cob, pretzels, nuts, popcorn and crushed ice are off limits. Sticky foods to avoid include caramel, taffy and gum. These foods can get stuck between teeth and gums or bend wires and knock bands or brackets loose. If this results in damage to braces, treatment may be extended. Do I need to see my dentist during orthodontic treatment? Yes. Remember that going to the orthodontist is not a substitute for regular dental checkups. If you’re going to invest time and financial resources in a healthy smile, be prepared to go the distance to achieve results. That means you should consult your dentist for a schedule that’s appropriate for you. No matter your age, it is never to late to improve your dental health and beautify your smile Since braces are being worn by more adults. In 1945, Dr. H.D. Kesling envisioned that one day modern technology would enable the use of a series of tooth positioners to produce the kinds of movements required for comprehensive orthodontic treatment. Technology has made this vision a reality. 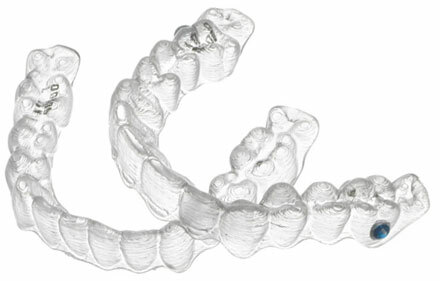 Using advanced computer technology, Align Technology produces Invisalign, a series of customized clear appliances, or aligners. Each aligner is worn sequentially by the patient to produce extensive tooth movements in both upper and lower arches. More than 500,000 patients worldwide have been treated with Invisalign. The number of Invisalign smiles grows daily. Invisalign aligners are classified as Class II medical devices by the FDA, and Align Technology, Inc.has held the necessary 510K clearance from the FDA since 1998 to be able to sell and market the Invisalign system. No. Invisalign aligners and Vivera Retainers do not contain Bisphenol-A or phthalate plasticizers. These aligners and retainers are made with USP Class VI medical grade, high molecular weight, polyurethane resins. Tests have been conducted to determine the biocompatibility of these materials, and show that they are biocompatible and pass all applicable regulatory requirements and thresholds for human wear in the mouth. Of course, as with any medical device, you should consult with your health professional about your aligner or retainer treatment and any applicable risks of use. What are the aligners made of, and what do they look like? The virtually invisible aligners, which are made of a thermoplastic material uniquely developed for the Invisalign treatment plan, look similar to tooth-whitening trays. Invisalign aligners are custom-made for you, and only you, to move your teeth into the appropriate placement in the sequence determined by your doctor. Dr. Jacqueline Fulop-Goodling, a New York Orthodontist and Invisalign invisible braces specialist and spokesperson announces new dental orthodontic procedures at her office in Manhattan. Dr. Fulop Goodling’s mission is to provide the highest quality of advanced orthodontic treatment for her patients. Located in midtown Manhattan and so close to Grand Central Station, Fulop-Goodling treats many professionals in Fortune 500 companies, investment banks and corporate finance. Many employees at Goldman Sachs, JP Morgan, Lehman Brothers, Citibank, Citigroup, Morgan Stanley, Credit Suisse, Pfizer, Colgate Palmolive and PricewaterhouseCoopers have Dr. Fulop-Goodling in their Blackberry, Treo and Palm Pilot PDA’s. Professionals seeking promotions or new jobs are absolutely judged by their appearance. A healthy smile, straight teeth and a confident outlook will get someone the job over the competitor that does not possess those qualities. Being at the top of her field, of course Dr. Fulop-Goodling treats celebrities, actors and actresses, but the everyday professional who needs to look good on the job or for that special once in a lifetime event such as their wedding is where she really feels she helps people. One segment of the population that has really benefited from Invisalign’s new clear braces are actors, actresses, celebrities and people with high public profiles. “Though I am not able to disclose the celebrities and personalities that I have worked with, I can tell you that there are certain people on television and the movies who have absolutely benefited from contemporary orthodontics,” Fulop-Goodling adds proudly. The secret is in the technology. 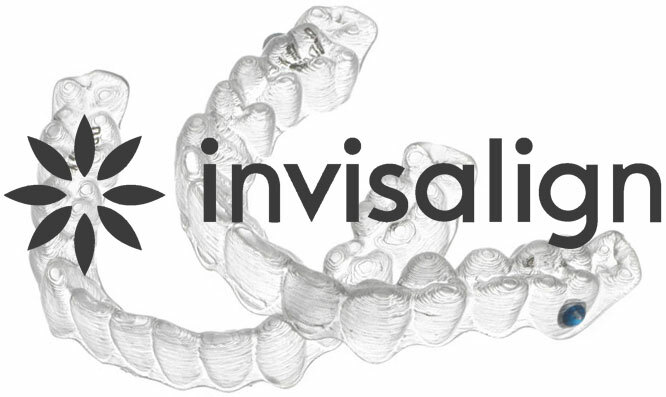 Invisalign is very affordable and has even announced in a recent press release that they will cover doctors and patients impacted by competitor OrthoClear, Inc.’s decision to cease business operations as part of a legal settlement with Align Technology (Invisalign’s creator). Now everyone can afford straight teeth and a beautiful smile, not just the rich and famous. Kids and teenagers are also judged by their peers and this can affect their overall performance in school and in social circles. Now these teenagers and young adults are able to be seen in a different light. Self confidence and positive attitude are very related to this most crucial period in a young persons life. Social development has increasingly been on the radar of our educators in our day and age. Orthodontics has been a major contributor to helping kids reclaim youthful innocence and carefree living. Dr. Fulop-Goodling ‘s friendly staff and inviting office are also a major attraction to parents looking for braces for their children. Invisalign Teen is the virtually invisible way to straighten your teen’s teeth without the restrictions that come with metal braces. Rather than wires and brackets, Invisalign® uses a series of clear, removable aligners that have been custom-made for your teen’s teeth. Your teen simply wears them over their teeth and changes them out for a new set of aligners every two weeks. Little by little, your teen’s teeth gradually shift into place, achieving that confident smile. Invisalign® clear aligners were designed to transform your smile without interrupting your life. Now, you’re free to change everything without giving up anything. Invisalign clear aligners are completely removable and virtually invisible. You’ll watch your smile transform before your eyes as you continue to enjoy the sports, foods and activities that make you unique. With Invisalign Teen, no one needs to know your teen is straightening their teeth, removing a potential source of real anxiety for them and giving them the confidence to be themselves in front of everyone. Invisalign can be used for teens who have erupting or erupted permanent dentition—this includes most teenagers. The blue compliance indicators fade from blue to clear. These help you, the parent, and your teen to identify the level of progress attained. If you’ve had braces yourself, you already know the issues associated with metal wires and brackets. With Invisalign, the aligners are removable, so your teen can play sports without the worry of being hit in the mouth by a ball, which can cause real damage in braces. They can also continue playing musical instruments properly, without braces getting in the way. With braces, there is a long list of foods your teen shouldn’t eat, from popcorn to apples and raw carrots. With Invisalign, there are no such restrictions. The removable aligners make it easy to brush and floss normally to maintain proper oral hygiene. Continue to enjoy all the things you love with less pain than braces. You also don’t have to worry about injuries from wires and brackets or trips to the doctor because of broken ones. The average treatment time is about the same as with traditional braces, but the actual length of your teen’s treatment depends on the severity of their condition and can only be determined by your orthodontist. Call us today and schedule an appointment to see if Invisalign is the right fit for your teen!